It's time to get excited about on-campus housing beginning fall 2013! Room Sign-Up is different from the initial housing registration process, so we've developed this timeline to help keep you on track with important deadlines. Begin thinking about which hall you want to live in and with whom. Research hall information to see floor plans and rent rates. You can select up to three roommates. Be sure to indicate interest in participating in the room sign-up process. You have until January 27 to add/remove roommates—so make sure that you and each of your preferred roommates have completed steps in The Dawg House and received a confirmation email. Missing the January 27 deadline may result in a significant loss in priority. Do you have any outstanding bills with Student Accounts? Today is the payment deadline for the non-refundable $100 sign-up fee for those selected for round one! Sign-up continues through February 15—students that are selected for round one and have paid the non-refundable $100 sign-up fee will be emailed specific instructions. Be sure to follow the provided instructions carefully so that you don't miss your chance to select a room! 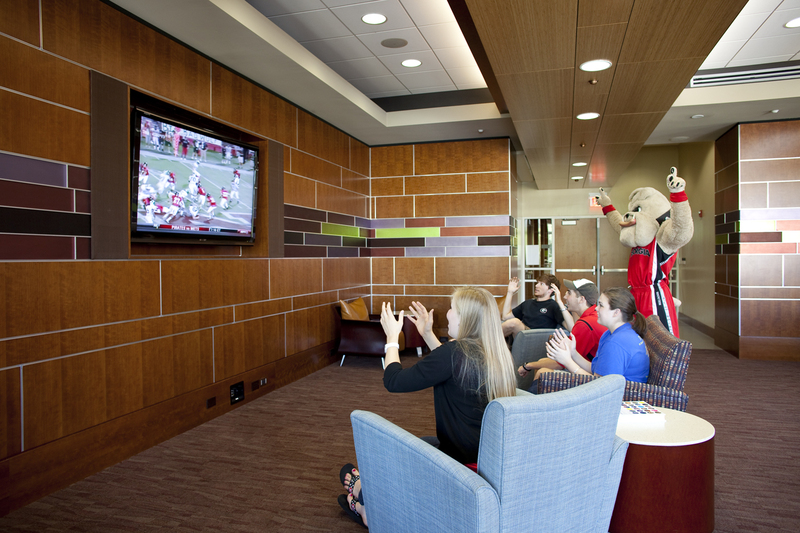 Be sure to execute your contract by logging in to The Dawg House and providing your electronic consent. After your contract has been executed you should receive a confirmation email. Each roommate must also execute their contract by the deadline. *Waiting List - If you were not selected for round one of room sign-up then you will automatically be added to the waiting list. Rounds 2-9 of room sign-up will take place throughout the months of February, March and April. Students on the waiting list will be able to select an on-campus space as other students cancel out (by not paying the sign-up fee, not selecting a room or not executing an online housing contract). Status on the waiting list is usually updated once a week; in past years we have been able to offer everyone on the waiting list a chance to select a room. Have questions? Don't worry, we will host information sessions across campus in January. Check back for location and times of information sessions in January. Also, print out a student/parent checklist to take home.